Do you choose a “Word of the Year” or participate in the One Little Word project? 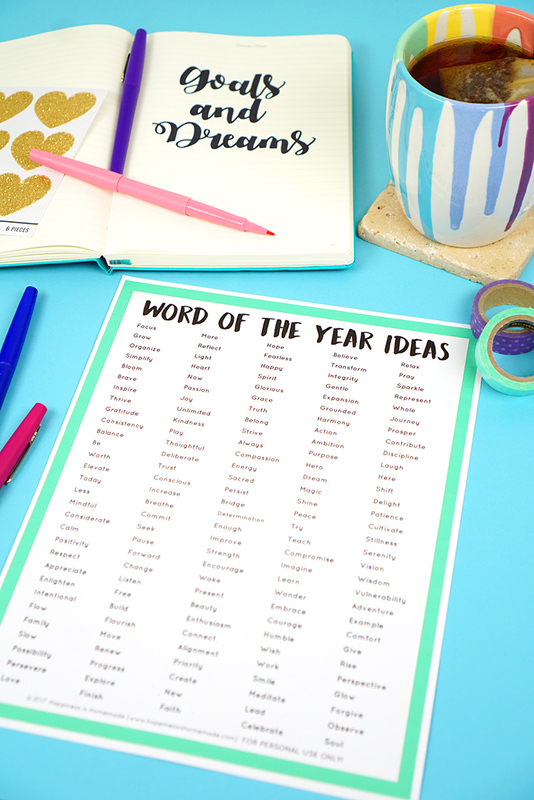 With SO many great words to pick from, it can be tough to narrow down the selection, so I’ve put together a list of some of the best Word of the Year ideas to help you make your decision! In December of 2010, not long after I started this blog, I decided to choose one single word to be my focus and guidance for the upcoming new year and all of my goals. I wanted to choose something meaningful that would guide me through the year and be a compass throughout life’s many decisions, something that would encourage me to be the best version of myself. I settled on the word “Bloom,” and in that year I grew this very blog from a part-time hobby to a full-fledged business! 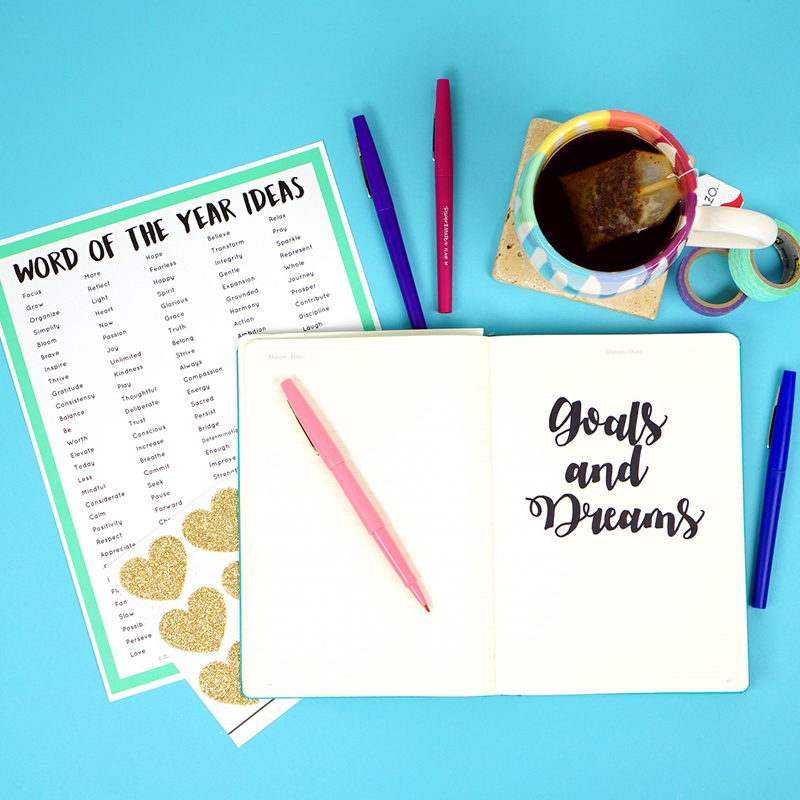 It wasn’t until a couple of years later that I discovered that One Little Word was a growing movement linked to a popular hands-on workshop that incorporates a little bit of scrapbooking with a lot of journaling and an abundance of self-growth. The idea of selecting a guiding word resonates with many, many people, and the trend of choosing a Word of the Year has gained popularity for good reason! So, what are some of the most popular choices for your “One Little Word” word of the year? 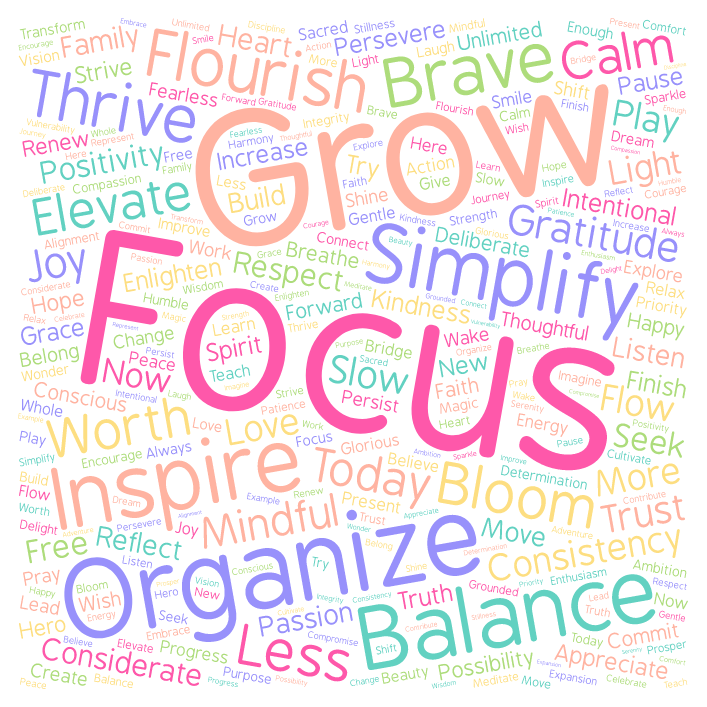 Balance, Focus, Grow, Simplify, and Organize tend to be crowd favorites, because, really, couldn’t we all use a little bit more of those things in our lives? They’re fantastic words! Personally, my words over the years have included a couple of those popular favorites along with Joy, Improve, and Intentional. I haven’t settled on my word for next year yet, but I’m leaning heavily towards Gratitude! 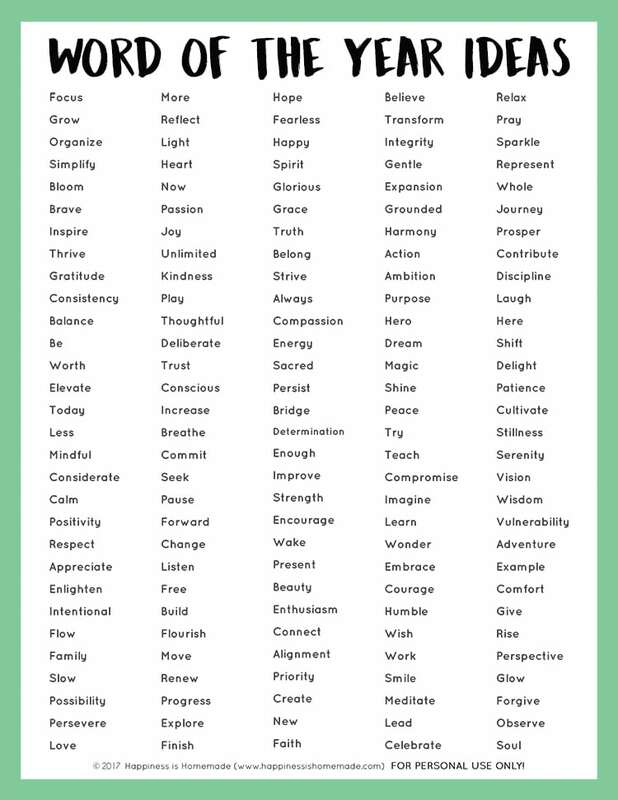 Choosing your guiding words can be a really wonderful activity to do together with your family – choose a word for the entire family and then have everyone select their own personal words as well. It’s always fun to see what everyone comes up with! Do you know what your word of the year is going to be? Let me know in the comments! I’m always looking for new inspiration! My word of the year is going to be Finish. I get so many great ideas. I start something, then get distracted and start on a different idea. I know my house will look better when I just finish a job. That means dishes after a meal. Open the mail when I bring it in, sort it and deal with whatever is there, recycle the rest. You get the idea. Finish what you start. My word of the year is FORGIVENESS! I have so much in my heart that I need to forgive people and situations for …. If i carry this word with me all year long I know that it will help set my heart free. Great list, thank you very much ! Just last night I had the idea to create a word of the year for myself and figure ways to incorporate it into my blog dreamcottagecreations.com. I had no idea this was a trendy thing. I though I had an original idea. Sigh..
Oh well, my word is BELIEVE…it’s not just for Christmas anymore! Yes!!! I had this one on my short list this year, too! Great choice! 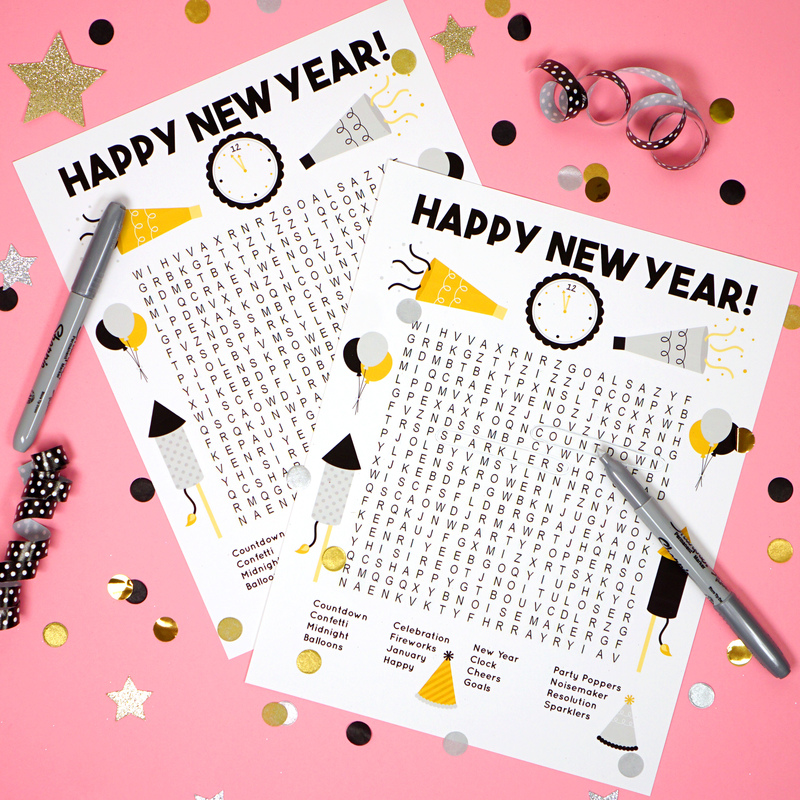 There are so many goals that I want to see through to completion in 2019. I finally chose the word “REACH” because it has so many meanings. I hope to reach some goals and reach for new ones, stretching myself and reaching out to others. Thank you for your inspiration! That’s a fantastic choice, Laura! I love it! I had been praying about which word to choose, and your list helped me discover it : delight! I want to remind myself to delight in the Lord and love what He loves, and also remember that He already delights in me. I’m having it put on a necklace.